Prevents wear, rust and fouling in firearms. 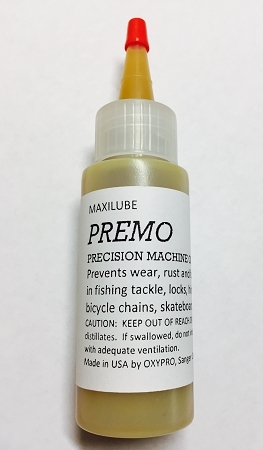 Also use in fishing tackle, locks, hinges, sewing machines, bicycle chains, skateboards, metalworking, etc. CAUTION: Keep out of reach of children, Contains Petroleum Distillates. If swallowed, do not induce vomiting. Call physician.